Easily recognisable because of the round balls of tightly packed flowers carried on slender, stiff, upright flower stems. 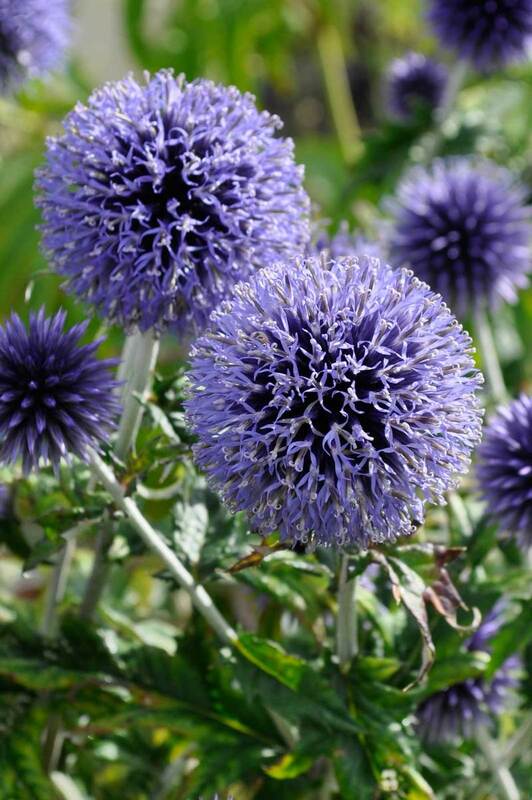 Initially the flower balls are spiky, but as the flower buds open, tiny, star-like flowers emerge turning the whole ball a softer colour. As the flowers are so small they are really attractive to bees and butterflies. 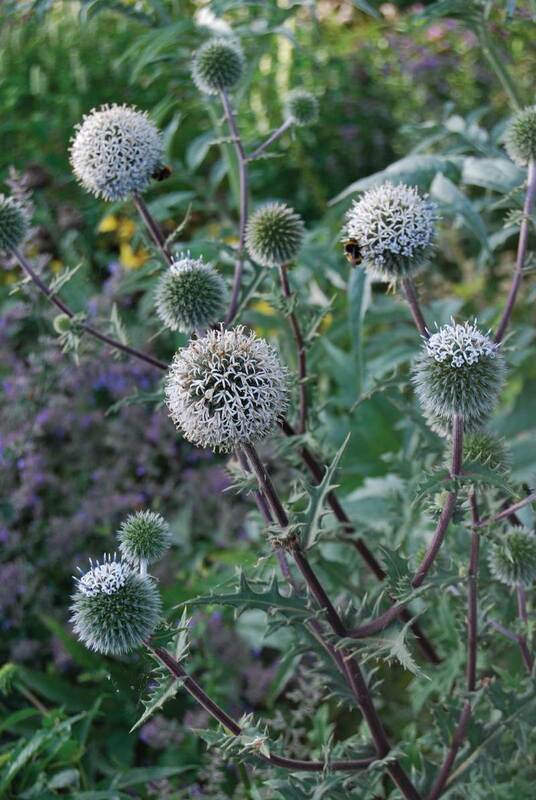 They are especially good for adding simple, architectural shape to a late summer border. At the base sits a handsome mound of long, jagged-edged, silver-green leaves. The plants we grow come from species that originate from areas around the Mediterranean. 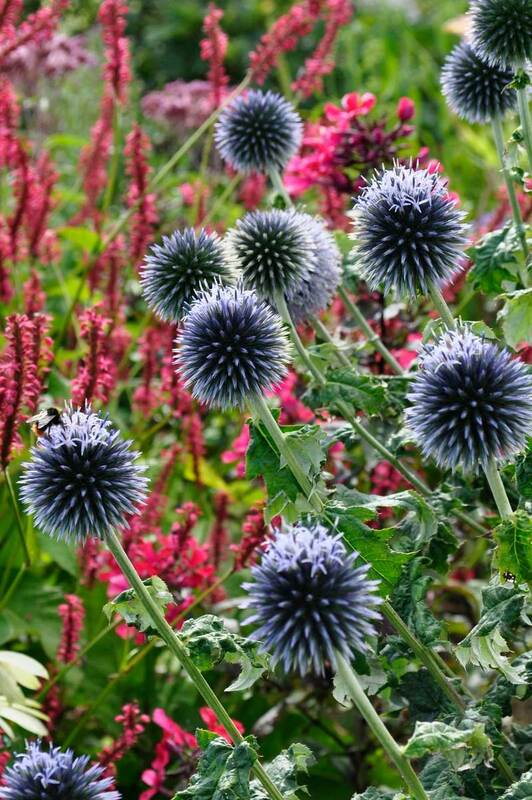 I find Echinops easy to grow. I have tried them in various gardens where they thrived in very well-drained sandy soil as well as heavy, clay-loam. The only thing they do demand is a fair amount of sun. Cut back the flower stems after the flowers have faded to give the roots a chance to regrow. This is something that helps them if they grow in heavier soil. Dividing: when they gets too big.